ESO Supernova Exhibition — What is an Exoplanet? 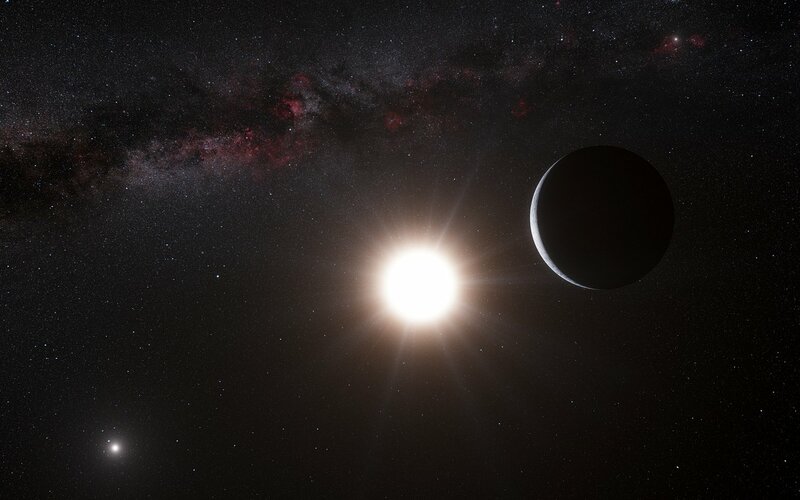 Since the discovery of the first planet orbiting another Sun-like star in 1995, thousands of exoplanets have been found. Our Solar System is no longer unique. Suns set: Some exoplanets orbit two stars, and experience multiple sunsets - as in this artist's impression. Exozodiacal light: In this artist impression interplanetary dust particles create a band of zodiacal light above an exoplanet’s cloudy mountains. Extrasolar planets — or exoplanets for short — are planets orbiting around stars other than our own Sun. Astronomers have speculated about their existence for centuries. However, the first exoplanet orbiting a Sun-like star was not found until 1995. Since then, an amazing variety of exoplanets has been discovered, mainly through indirect detection methods; only a few have been directly observed. It turns out that over 50% of all stars are accompanied by at least one planet, sometimes more. Whether or not they resemble our home planet is another question. 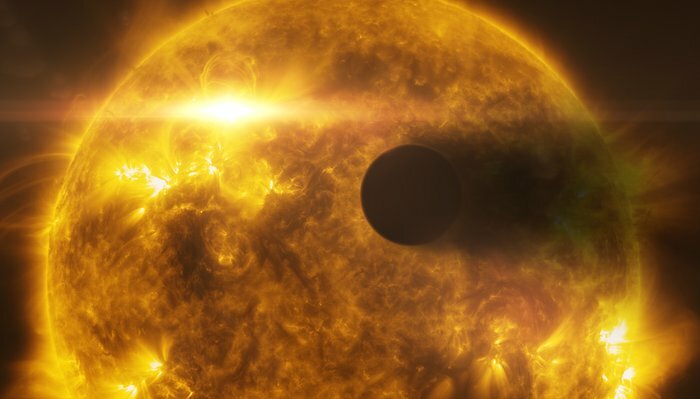 Fatal flare: Exoplanet HD 189733b loses part of its atmosphere as a result of a giant flare on its parent star (artist impression). 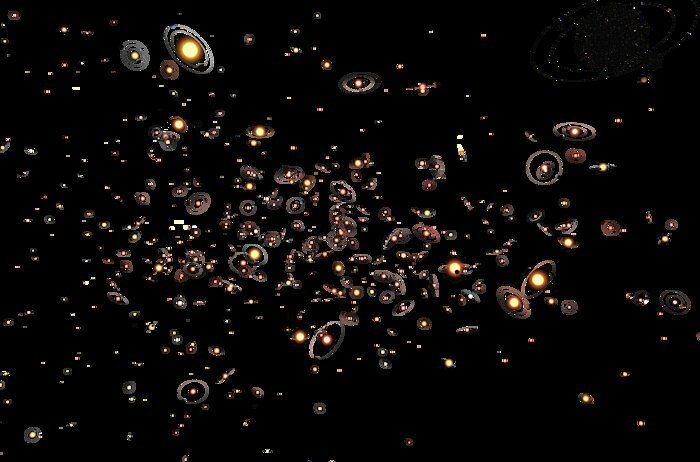 Planets aplenty: Most stars in our Milky Way are orbited by one planet or more. Orbit sizes are vastly exaggerated in this diagram. Eight planets orbit the Sun. Earth is one of them. The Sun is just one star among billions and many other stars have planets too. These are called exoplanets.